Comments: A stunning collection of classic tunes, performed by a talented, passionate ensemble of quality musicians. Read the Full Review on The Selkie Girls new release! Write about Winter Lore - Songs of Christmas! 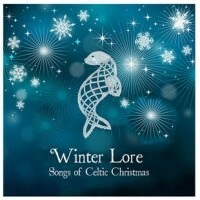 Want to write a review about The Selkie Girls's Winter Lore - Songs of Christmas album? Post your comments in this box to be displayed in our community forums and in our album database! Please make sure you are logged in before proceeding. Please login to write your comments about Winter Lore - Songs of Christmas.